Library Camp Glasgow on Saturday 8 November. I say ‘normal’ badge competition, and that in itself is quite telling, it has become a normal established part of the year (though whether it’ll happen next year, or on what fashion, who knows, it is, after all, an unconference). I opted for sessions on Changes to professional registration and CPD, Advocacy, Are we practicing what we preach, and 23 Librarians live. So, a couple of months later, what stands out for me from these sessions? This is a weird one for me. I was hugely involved in setting up the changes, but due to various workplace changes had then lost track of it all a bit implementation-wise until earlier this year when I started getting (very slightly in comparison) involved again. So my ability to wax lyrical on the past was excellent, but it was really interesting to hear about the present. All in all I got the idea that what we’d set up re changes wasn’t working badly and had gone quite well so far. And that made me smile quite a lot. This was kind of depressing overall. Nothing to do with the session, but a lot of advocacy discussions tend to feel quite bleak. Everyone sits round and says the same things, means the same things, they’re not remotely wrong things, it’s just they’re very difficult to make happen or to get outside the library profession. It is useful however to share news, and look at new initiatives. Looking at The Library A-Z was particularly fun. Advocacy is simply a long hard slog, no short-cuts or easy solutions. It needs to continue to happen simply because things would be worse without it. This was really interesting because it was all about reflective practice. We discussed things like do we just repeat ourselves or do we actually take time to rethink, are we comfortable sharing, non-defensive reactions, how we reflect individually (huge variety of ways between the group). I think I’m unusual in keeping a daily work diary of everything i’ve done, but it’s mostly factual, a prompt, though it has some comment in it also. That ‘Opus’ as I call it is what I go through to then do my cpd log on the CILIP VLE every few months. Now technically I know I mean to do it every month.... in reality I don’t, it’s quite erratic. But there’s nothing erratic about the Opus that it’s drawn from. And at the end of the year there’s Revalidation submission through the CILIP VLE. Which kind of sounds fairly organised, but actually I find time for reflection is difficult to come by these days, and that's a real shame. This was kind of a face-to-face break-out version of the (now various!) 23 Librarians blogs. It kind of dealt with folk just discussing their career paths and jobs and aspirations and moving between jobs, and inside and outside the sector. I’ve got mixed feelings about this, it was a good session, I’ve just looked at far too many daily job alerts thudding into my home email in the last couple of years. Mostly in me a Saturday in-depth discussion of it all thus produces a wish to sigh and rub at my headache rather than a feeling of great enthusiasm. 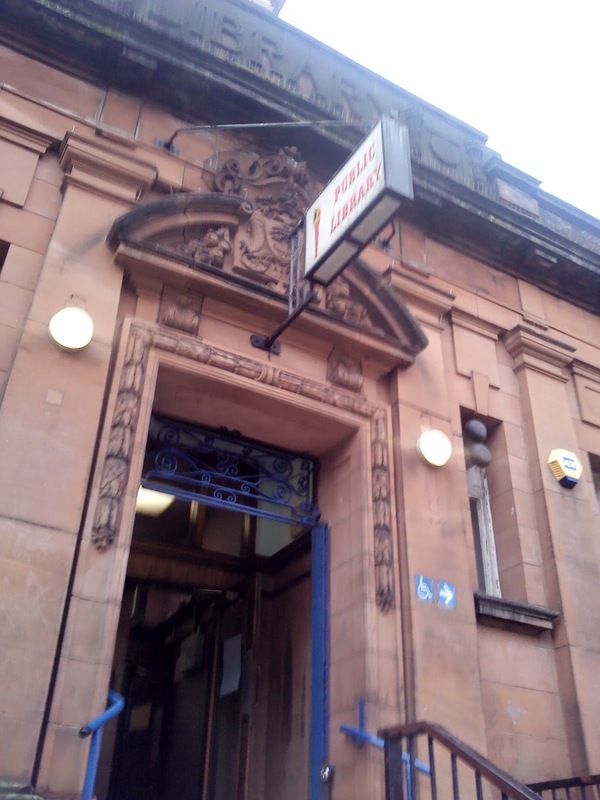 I do like Library Camp Glasgow, and I’ll miss it if there isn’t a Scottish one next year. I’d like my enthusiasm back, and in the Professional Registration session it was fun to hear myself sounding like my old self, I could hear the fire and passion, which I’d really like back, sort of lost it a bit. Things that help to rekindle that are welcome. The New Year is bringing an urge to pontificate very slightly on the good and bad of last year. Some years have passed since we began. It’s now an ex-Trustees Shadowing Group, and we’re not that good at it to be fair (though we always mean to be better next year), it’s a bit of scramble. But I have completed the shortlist reading in time every year, including this year, and that’s an achievement in itself. This year’s was won by Kevin Brooks for The Bunker Diary. I retain a memory of finishing that in a bus shelter in the pouring rain as I’d just got to the last few pages when I reached my bus stop and didn't want to have to stop. I've been saying for years that the shortlist can be a bit harrowing to read through in concentrated form in terms of themes. I do very definitely now figure out what are likely to be lighter reads and ones that sit more firmly within my own preferred normal reading categories, and make sure they’re interspersed between the bleaker subjects. But it’s also one reason I really like the Carnegie, it will take me outside of my own preferred choices and reading habits, it does broaden your reading. I used to think that one year I really must read the Booker shortlist – and I've never done that, but I don’t regret it or feel the urge anymore, because I know I do the Carnegie. I rather like the fact that I can open the Edinburgh Book Festival programme at the Children’s section and see so many authors whose work I know now. There was a virtual screencast of the Carnegie Ceremony this year, so I got to watch the ceremony from my desk in work during my lunch break, and that was also a really positive thing. I enjoyed the discussion, and Kevin Brooks discussion of the unpleasant things in life, children, and getting such things published as childrens' literature. Carnegie Shadowing is a good thing. I've never understood leaving 'childrens' things to children as thought adults can't enjoy just as much. It's good for anyone as a broadening and fresh air of usual reading habits. I spent a very restful part of Xmas Eve afternoon unsubscribing from lots of email alerts, email lists, going through and tightening social media settings on my home inbox... and I felt no guilt, only sheer relief. In an ideal world there are lots of things I would keep up with from all kinds of current and past professional doing's. As it is by the time I get home from work, something about dinner is done... my urge to retrospectively read a seething inbox daily of the last 23 hours of everyone elses' activity on professional and personal matters... is really fairly weak. I gaze at the sheer acreage of it all and I wince as I try to pick out the things I actually want or need to know about from the monster pile. So it needed something done about it, I just hadn't found the energy or time to do it. As I wasn't remotely getting through it anyway, what use was it actually serving (other than to glare balefully at me nightly)? I now have hopes for 2015 to be able to actually see the relevant things in it and for a daily trickle I can cope with and do things about rather than the flood of creation. And don’t get me wrong, letting go is sad in a way. But life changes, can’t keep everything and add on all the time ad infinitum. Eventually, it's what’s feasible that matters, and concentrate on what’s most important. I have a decluttering urge. Streamlining is good. About a year ago I had The Most Humungous Clearout of around 15yrs of professional activity (paperwork relating to) that took up a lot of space in my flat. As part of that I filled a fair amount of space in a bin bag with upteen Reviews and Consultations and Evidence Gathering on the role / operation / function / purpose of the public library service in England. These were usually issued by different governments, and government departments, and a few responses to them too. Most of these reviews, in hindsight, had ended up being a waste of photocopier paper printing off and spiral-binding in the first place never mind sitting in a darkened pile on the floor of my living-room for years. They seem to come around about every 2 years, and, like the in-coming tide, each one washes away the one before it that didn’t quite reach implementation or came to a narrow range of conclusions which were implemented. Before it all started over yet again…So last week I groaned aloud at seeing the latest Review announced of the EnglishPublic Library service, naturally announced on National Libraries Day. Make use of the past, don’t ignore it. It should be mandatory that all new Reviews are forced to read through the last three issued on the subject and all the evidence submitted and findings it made. This is very recent history, not ancient. THEN decide what you’re going to ask everyone to fill gaps and up-date what you have. Also, pay particular attention to asking why things didn’t get implemented or timescales slipped or what went wrong. That’s educational. A ‘first principles’ approach is often popular, but perhaps over-rated. The whole approaching the issue from ‘first principles’thing tends to come up often. It has a superficial charm to it, there’s an air of neutrality, impartiality, firm foundations, weighing up the evidence… So, let me put it another way, long ago some very kind person invented the wheel for me. I use it fairy often. Now, you can argue that’s a extreme example, that it’s not the same thing. I’m simply pointing out there’s something to be said for accepting basic principles in life or we’d never progress anything from them. Test them, fine, but then start from what already exists that works. The English public library service Does Not Exist In A Vacuum. Yes, structures, policy drivers, cultures, local circumstances are different around the UK. So, for goodness sake, look at what all the other parts of the UK are doing and why. Some of it will be of no use or interest whatsoever, other parts might bear some real thought and consideration (e.g look at the current welsh review). Select Review Members For Diversity of Opinion and Experience or Select Experts And Back Them. If you can get a group of people in a room who are diverse, have not that much in common, and between them and they can thrash out something that they can all agree on re main points… then all to the good. If they can’t agree on basics, then admit it (yes, I know, horrifying concept, but brave really, admit it’s actually really complicated and you don’t have all the answers). The other option is sit experts around the table and back them to best of your ability whatever conclusion they come to whether it suits political principles and expediency or not and keep that up. Do you have a compelling vision of the future? Most recent library reviews are very persistent indeed on the ‘future’ and ‘strong vision’ or ‘re-imagining’. But maybe in a world of huge change asking for a compelling vision is actually pie in the sky guessing rather than meaningful horizon scanning. Sort a vision for now, sort the next few years. A good vision just might be one that is practical and can be implemented and will gather support. ‘Re-imagining’ and ‘visioning’ are not the same thing. Finding a ‘direction’. There are always multiple possible options (even if lots of them could have unpalatable elements), multiple paths, different views. A co-ordinated group direction that folk can buy into that isn’t too radical but achievable would not be a major crime as an aim. It’s also not quite a miracle or a dictat. Which means it might be able to be done. A direction doesn’t have to be a structure or the latest position in a shifting sandscape. It can be ‘we agree these are the priorities’ and we all work towards them in our own ways to fit our own circumstances, ability and constraints. Acknowledgement that it’s complicated and cross-cutting would be lovely. Public libraries do just about everything, can be used by anyone, for a vast range of purposes. The reach is vast, as are the possibilities for ways they can connect into different agendas and needs. They are delivered by local government, but that doesn’t mean they’re solely about community issues and agendas. They’re e.g. economic, research, education, business, culture. Public libraries are for everyone, yes, but they’re also cross-cutting, that bit tends to get forgotten for all it should speak to the heart of government agendas, they tend to get automatically categorised by the delivery mechanism and the name. If It’s Going Wrong Then Please Stop and Re-Consider. Theory is a very wonderful thing, practice is something else. So piloting and gradual roll-outs are nice, they allow some evaluation to be built in. Trying to encourage it all being brought in before the relevant administration changes doesn’t work. Whether it’s already in or not the next lot can still choose to dismantle it if they think it doesn’t work or policy has shifted sufficiently. So, National Libraries Day dawns again tomorrow. In celebration, as it has indeed been a while since I put keyboard to blog... a daft post, but with a purpose of sorts. I’m betting lots of people could compose their own list of libraries and information services that reflects them as a person that would be possibly very different, but would equally sum up them. So what libraries do you currently choose to live in, and what does that tell you about yourself? My everyday working life, making available knowledge electronically to the NHS health and social care workforce in Scotland to enable them to improve their practice, to research effectively, to connect to peers and colleagues to exchange information, and, through all that, to improve patient care and safety. My part-time student life of all things ancient history and civilizations related from culture to language. 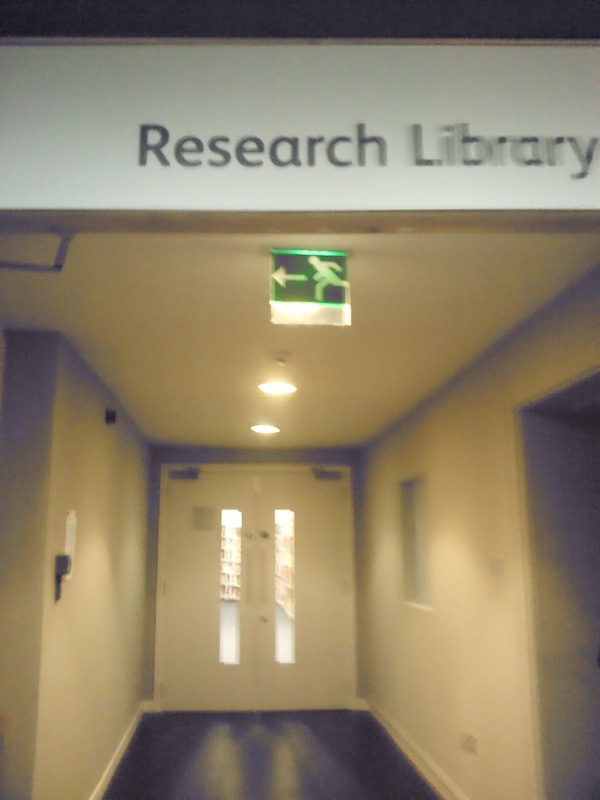 Mostly I ghost late at night in the Archaeology Annexe yawning copiously, or perform the Five Minute Dash to Search and Retrieve before evening lectures. I also flit between levels a great deal between History, Fine Arts, Classics. Occasionally it’s Special Collections and Short Loan. Last week I found need to prowl the shelves in Geology which was a first. My local public library, just across from the bus stop, on the way home. Perfectly located for me. Where I tend to wander in not for any defined purpose often, but simply because I find it conducive to thinking, to contemplation as I peruse the shelves. I just like being there. Plus I usually find something of interest I end up going away with. Other times I’m there with a purpose, usually to pick up things I’ve reserved online and have been shunted over from other places in the library system. One I really love, though I get there a lot less often than all the others due to the complete clash between my working hours in Glasgow and its opening hours in Edinburgh. But I do search out things electronically and get the lovely staff to put them aside for me and take days off to go work my way through. Mostly Egyptology. I love that I can spent the day in the NMS gazing at favourite galleries, and do a lot of research, and pop over to the café and reward myself with cake and coke gazing around in happy contemplation. So, what is the point of all of this as a blog post? Simply that my favourite libraries reflect the main areas and pursuits of my life. Many people can sum up their lives, their present, their past, in relation to the libraries that they most associate with that time. Equally, perhaps their future. I don’t think any of that is only true if you’re a librarian or an information professional of some other kind. Everyone works with and uses information, to different extents, in different contexts. Everyone has curiousity, interests. Libraries are a means of accessing and satisfying all that, they’re fundamental to growth of people, organizations, companies, everything really. That’s why there’s libraries, collections or archives for just about any subject or concern you can think of. The need for access to information is pervasive. Above all we need quality and accurate information, so it needs to be properly curated and looked after by people who have developed a specialism, an expertise, and who use that to help others who deal with things less regularly or with less confidence. 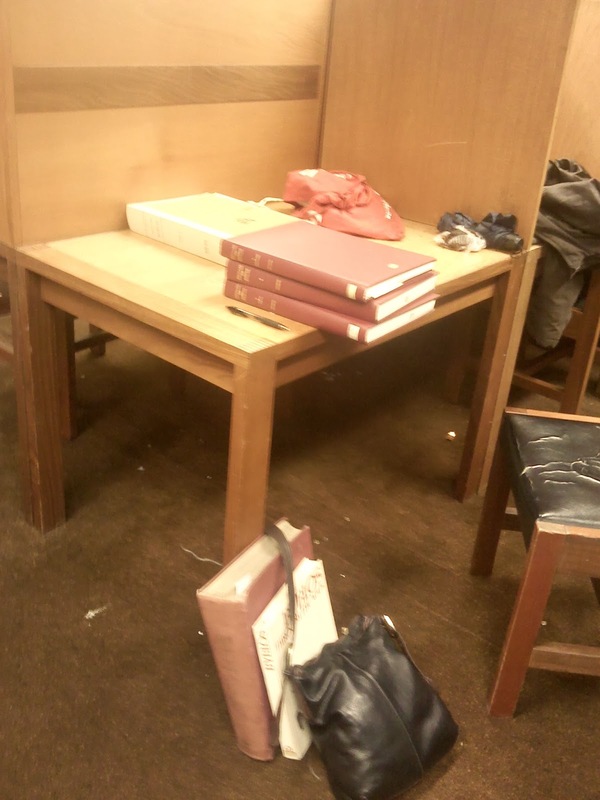 So, anyway, this is simply my current life as illustrated in four libraries / information services. The ones I choose to spend my time in the most. Equally I could have called this The Wasteland! Suffice to say it's been an 'interesting' 2013 since my long-term employer unfortunately went under earlier this year. Being in my previous place for 17 yrs I'd call changing jobs twice in six months since and all the job hunting a bit of an accomplishment. It's also been full-on so there's not really been time to do or think of much else though. So the blog has been hugely erratic this year. So, yep, changed jobs yet again a couple of months ago, this time I've changed sector as well though. Been deep in gen'ing up and getting used to it all since, thus I have realised that more than several weeks have passed and I really should up-date a few things! This was a presentation by Professor Hector MacQueen of the Scottish Law Commission. Main gist below as follows. He started with a clip from Monty Python and the Holy Grail showing the fate of the Black Knight against the King of the Britons, limb after limb is lost but the Black Knight remains full of fight sure he can win. Are they mere scratches or terminal condition? Session looked at challenges for the future of the Scottish legal system. Process of europeanisation (less autonomy, loss of some individual character). Human rights (has had large impact on things like criminal procedure). Commercial and consumer law (area’s of law currently reserved to the UK). Indifference of population at large to lawyers and legal system. Impatience (sometimes purely Scottish points may be seen to be a drag factor). Ignorance few people know about Scots law. Inaccessibility (people not sure where to find it or what a contract subject to Scots law means). Impotence (little clout to carry things through or resources for). Internationalism (fear of being accused of parochialism). There are issues in how to reconcile internationalism and parochialism. Is our law in demand? (lots of contracts in Scotland are made under English law). Is our law in demand (who wants Scots law?). Choices of English law and jurisdiction. Are Scottish courts proportionately under used? (research shows under used compared to English courts by around 60%, some local Scots courts are being closed as part of rationalisation). The business difficulties of law firms (big mergers, closures in dramatic circumstances, doing subsidiary work for other jurisdictions, outsourcing). Supreme Court - criticisms from the Scots judges in Supreme Court on Scots legal system. Stress absence of case management and sending appeals not appropriate for Supreme Court to consider, criticising how Court of Session goes about giving its judgments. I’m still standing after all these years (Scots law still going after a very long time). Megrahi’s compassionate release (power of Scots law, it can be independent). The mixed legal system (a unique tradition). The re-in-STATE-d nation (increased devolution at minimum seems certain for near future, should give impetus to legal system, have to become more ambitious). But what of the search for the Holy Grail? The Holy Grail (should be able to know what the law is). Codification or at least reform of law (need to develop law further, don’t have enough Scots caselaw, on many questions there’s none or no depth of). Reform of the courts to attract and retain business, not drive it away, need to face outwards (do specialised Tribunals stall the development of the law by making it hard to locate and find?, if Sheriff Court becomes a general Court of First Instance for all matters to a certain monetary limit what training issues does that lead to). Knowledge of the economic, political and social facts of our civilisation. Ponder the common law of the world, not just England (e.g. European jurisdictions, need for wide material resources to support).